Croatia's policy of encouraging the filming of blockbuster shows on its shores is paying off, with several high-profile films choosing the eastern Mediterranean destination as a backdrop – including the next James Bond movie and the Mamma Mia sequel. The country has implemented a favourable taxes policy to encourage production companies to film in the country – following the huge success of Game of Thrones, which is part-filmed on location in Croatia. Among the 16.6 million visitors from Europe to Croatia last year were ‘Throners’ – die-hard fans of the cult TV series, keen to see where the epic show was filmed. 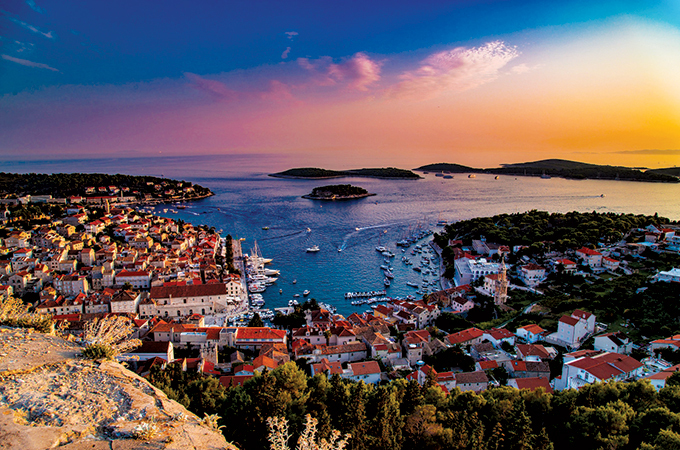 Such is the success that Game of Thrones-themed guided tours have sprung up in tourist hotspots such as Dubrovnik, which is the setting for King’s Landing and Blackwater Bay. Elsewhere, Lokrum Island, 600 metres off the mainland, is the setting for the city of Qarth; Sibenik serves as the city of Braavos, while Split doubles as Meereen in the show. Hollywood has also set its sights on Croatia as a backdrop for several movies. Such is Croatia’s popularity among film-makers, the destination has usurped Greece as the setting for the second Mamma Mia movie. Filming of Mamma Mia: Here We Go Again – starring Meryl Streep, Colin Firth, Pierce Brosnan, Julie Walters and Amanda Seyfried – started in autumn 2017 on the Croatian island of Vis, one of the farthest inhabited islands in the country. Meanwhile, James Bond’s next top-secret mission has been revealed. Actor Daniel Craig is heading to Croatia next year to film the 25th Bond movie, with a working title of Shatterhand. Furthermore, Stormtroopers and other aliens from galaxies far away were spotted on the streets of Dubrovnik last year as Lucasfilms worked on Star Wars VIII, The Last Jedi. Up-coming movie Robin Hood: Origins, staring Jamie Foxx, Jamie Dornan, Taron Egeron and Eve Hewson, began filming in Dubrovnik in February 2017. In what has been described as ‘the most ambitious Hollywood project to be produced in Croatia’, the film saw Dubrovnik’s city walls and Posat harbour doubling as Robin Hood’s home territory of Nottinghamshire. Not surprising, then, that Croatia has attracted A-list stars on holiday recently, including John Malkovich, Julia Roberts and Leonardo DiCaprio.